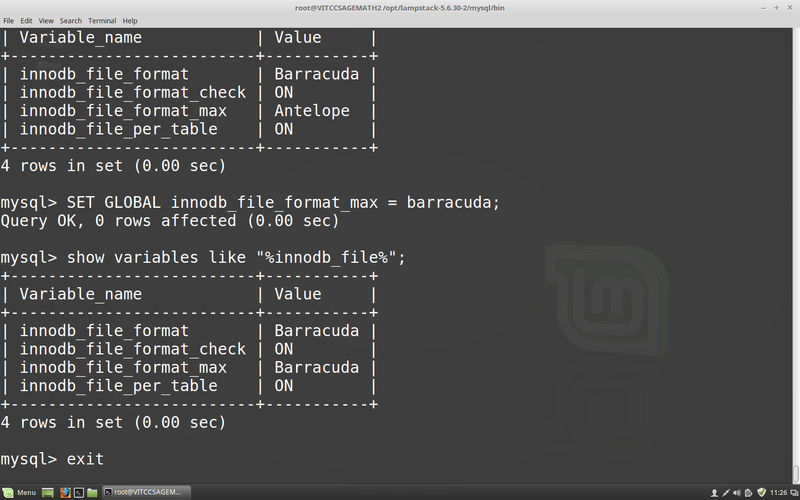 MySQL and MariaDB uses innoDB for storing the tables in a file format called Antelope. For large sites, the Antelope format doesn't support more columns which makes the backup option a tedious process. so it will be advised to change the file format to Barracuda. There are various options to do that. 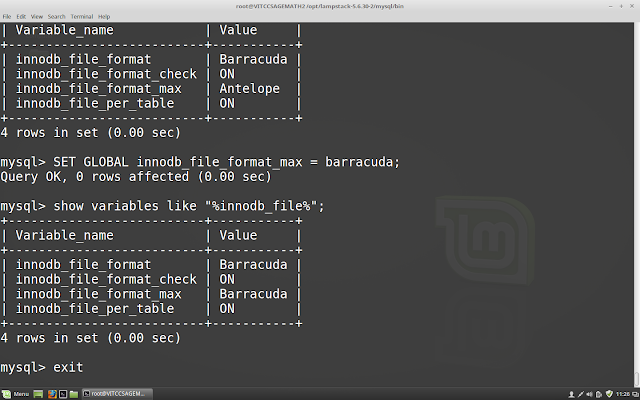 Here is a small workaround to change it to barracuda. It will ask for the password: (Input the password here).